What does a 100% safety record mean for you? 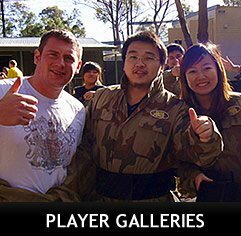 Delta Force Paintball Newcastle offers a paintball experience that is extremely safe and enjoyable, for everyone. We have invested in high quality equipment to ensure that you have the safest and most comfortable paintball experience. Your safety is our number one concern, every time. A policy of checking every player’s goggles before they enter the game zones. Completely enclosed our Base Camps (safe zones) with high mesh safety netting. Prohibited any paintball gun from entering the Base Camp. Prohibited the lifting of goggles in the game zones. We conduct ongoing training of our experienced paintball marshaling personnel. All pre-game safety speeches adhere to the Health & Safety rules and regulations. At Delta Force ‘head-shots’ do not count.